AI might just be the single largest technology revolution of our live times, with the potential to disrupt almost all aspects of human existence. With many industries aggressively investing in cognitive and AI solutions, global investments are forecast to achieve a compound annual growth rate (CAGR) of 50.1% to reach USD 57.6 billion in 2021. AI is not a new phenomenon, with much of its theoretical and technological underpinning developed over the past 70 years by computer scientists such as Alan Turing, Marvin Minsky and John McCarthy. AI has already existed to some degree in many industries and governments. Now, thanks to virtually unlimited computing power and the decreasing costs of data storage, we are on the cusp of the exponential age of AI as organisations learn to unlock the value trapped in vast volumes of data. AI is a constellation of technologies that enable machines to act with higher levels of intelligence and emulate the human capabilities of sense, comprehend and act. Thus, computer vision and audio processing can actively perceive the world around them by acquiring and processing images, sound and speech. The natural language processing and inference engines can enable AI systems to analyse and understand the information collected. 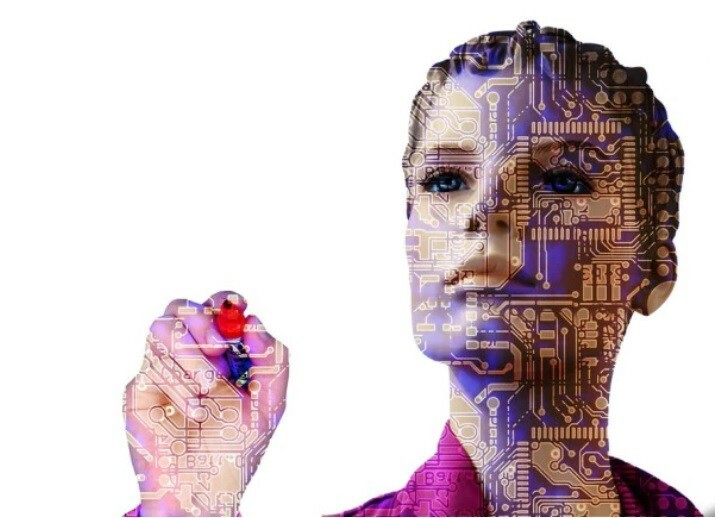 An AI system can also take action through technologies such as expert systems and inference engines or undertake actions in the physical world. These human capabilities are augmented by the ability to learn from experience and keep adapting over time. AI systems are finding ever-wider application to supplement these capabilities across enterprises as they grow in sophistication. In scientific terms, AI is a backend algorithm that programs machines to emulate and extend human behaviour and actions. Artificial intelligence, with its digital and dynamic nature, is progressing at an accelerated pace. A profound impact is also seen in the nature of services within the education sector. Today, AI has left no sector untouched by its innovations and novelty. Its contributions to the educational sector, especially, have been most beneficial because education forms the basis of all knowledge and progress. Therefore, empowering and updating educational systems with AI has resulted in better impartment of knowledge and thorough and worthy evaluation of assessments by making them less of a blackbox. An effective education sector has the ability to transform a country through development of human resources and increased productivity. In the context of emerging countries particularly, levels of education and literacy of the population play an important role in development and overall transition to an advanced economy. According to surveys, 75% of teachers in USA believe printed books will entirely be replaced by digital learning tools. Is the Internet and technology really a game changer within the education sector? The answer is, yes. The world has entered into the digital age, and technology has touched every part of the human life, whether it is business, communication, travel, health, or education. The global education system has taken it hands-on and the implications of advanced technology have created wonders in this field. From Artificial Intelligence and Machine Learning to automation and digitization, the global learning sector has been among the segments most benefitted from technology. For decades, the changes in human life were speculated about with the advent in AI and technology, and now they can be experienced for real by anyone around them. Over the past few decades, new technologies have truly transformed every aspect of our world, from scientific and industrial development to day-to-day activities in our personal space. And, whenever a new technology is introduced to the masses, the way people interact with each other and envision their lives has shifted drastically. The truth is, we only realize the redundancies of our current practices after we are introduced to a new technology that makes our daily activities efficient. And, once we adopt new technology, we get set in new ways, unable to imagine how we ever lived without these developments before. In India, the importance of a developed education sector is amplified by a large youth population. Estimates indicate that currently over half the population of the country is below the age of 25. As the adoption of digital means of gathering data increases, it is important that these methods are effectively leveraged to deliver improved education and teaching. Everyone has been vouching for Artificial Intelligence’s (AI) ability to change our lives forever in the next ten years, and there is good reason why all experts, including biggies like Elon Musk, share this belief. And, it won’t be long until AI also plays a huge role in revolutionizing the education sector from head-to-toe. While we may not see humanoid robots acting as teachers within the next decade, there are many projects already in the works that use computer intelligence to help students and teachers get more out of the educational experience. Education — rather, learning, in general — is based on society’s understanding of what is important and what our future generations ought to know to take the next leap for humanity. But, we live in a time where changes are perpetual, hence it is difficult to keep close track of current trends and redesign education at every step of the way. This is precisely where AI can work wonders! Academia worldwide is implementing and utilizing AI in administration, learning, tutoring, grading, and assessments. The outcomes of amalgamating technology with innovative learning process have absolutely revolutionized education systems across the globe. China too has dedicated a large investment in its ed sector after medical and automobile, keeping in mind the vast scope of development in the field. India, being one of the leading developing countries, is following the trend and adopting innovative technology and AI in the education sector as well. The adoption of technology in education is improving, though not at the pace required. It is estimated that schools globally spent nearly USD160 billion on education technology, or ‘EdTech’, in 2016, and forecast spending to grow 17% annually through 2020. 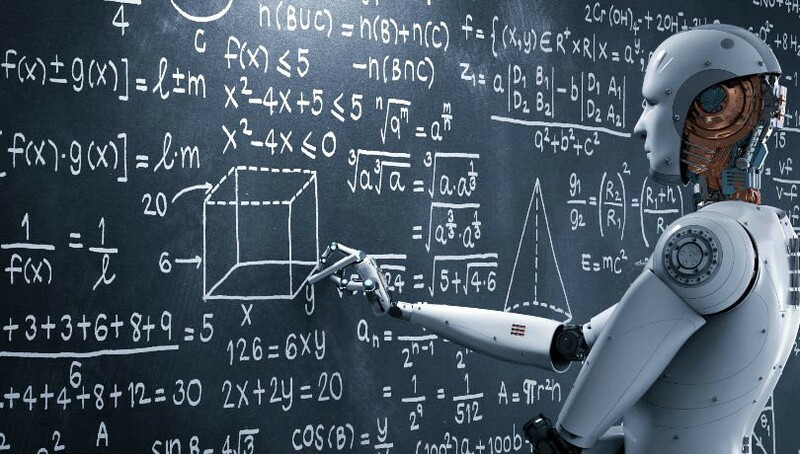 India’s Central Board of Secondary Education (CBSE), in an attempt to mould their education system to make students well-versed with today’s fast growing and highly demanding technologies, has decided to include artificial intelligence in their syllabus for students. School education in India has seen substantial progress in recent decades, with efforts at both the Central and State levels, and substantive gains in enrolment have been achieved — Gross Enrolment Ratio (GER) is 97% at elementary level and 80% at secondary level, as per recent figures. However, low retention rates and poor learning outcomes mar the impact of gains in enrolment. Although the path is long and full of obstacles, yet the education pioneers of the country have vowed to take the national education system at par with the global level. Simply based on the positive impact technology has had on our lives each and every single time, it would almost be criminal to not put it to good use. Social media, for example, has already been proven as a wonderful tool when it comes to education — one can easily find video tutorials on any topic, and the quality of these tutorials is constantly improving. Likewise, the Internet of Things (IoT) has transformed classrooms into a delightful visual, experiential haven for students. The challenges people previously faced regarding the logistics of hands-on training have disappeared since we can finally simulate any environment and train people in conditions that are seemingly real. Teachers are often quite unable to decide which methods of teaching will resonate with the majority of their students. AI can make these decisions with less errors than human beings. While there are obviously things that human tutors can offer that machines can’t, at least not yet, the future could see more students being tutored by tutors that only exist in zeros and ones. Some tutoring programs based on artificial intelligence already exist and can help students through basic mathematics, writing, and other subjects. These programs can teach students fundamentals, but so far aren’t ideal for helping students learn high-order thinking and creativity, something that real-world teachers are still required to facilitate. Yet that shouldn’t rule out the possibility of AI tutors being able to do these things in the future. Up until now, is has been impossible to objectively conclude how well a student understands a subject because we have limited human power. Learning skill-sets requires students to grasp multiple aspects. Hence, a fair assessment should evaluate a student on both their strengths and areas that need improvement. However, the current assessment models focus on an overall dexterity, which isn’t of much use, since assessments should be used to diagnose, not evaluate. AI’s power can create fairer, unbiased ways to assess candidates by taking into account all the limitations of fixed-format exams, such as varying weightage and the curriculum’s difficulty level. AI can set our compass straight so we head in the right direction, finally. While AI may not ever be able to truly replace human grading, it’s getting pretty close. Teachers spend a lot of time simply grading papers rather than introspecting on ways to make learning a more engaging experience in-sync with what is happening around us. It’s now possible for teachers to automate grading for nearly all kinds of multiple choice and fill-in-the-blank testing and automated grading of student writing may not be far behind. Today, essay-grading software is still in its infancy and not quite up to par, yet it can (and will) improve over the coming years, allowing teachers to focus more on in-class activities and student interaction than grading. AI can reduce wastage of time and resources at the grading stage because it allows each student to know how they are performing in real-time from both the lens of proficiency level and expertise. This critical information can motivate students to try harder throughout, rather than at the end when they see a final grade and it is too late to do anything. For generations, educators and trainers have struggled to design a course or teach a skill that resonates with everyone because all of us have varying degrees and different forms of intelligence. The permutations and combinations of teaching mediums to use — audio, visual, kinaesthetic — is endless. In short, customizing education for each student is a mammoth task that requires immense time and human resources, which is impossible. However, AI is a tool that can make these barriers a thing of the past. AI can not only help teachers and students to craft courses that are customized to their needs, but it can also provide feedback to both about the success of the course as a whole. Some schools, especially those with online offerings, are using AI systems to monitor student progress and to alert professors when there might be an issue with student performance. With so much emphasis on creating educational content, we will soon be flooded with material being delivered through various platforms. But, as a learner who is new to the subject, how can one conclude what is best for them? Teachers may not always be aware of gaps in their lectures and educational materials that can leave students confused about certain concepts. Artificial intelligence offers a way to solve that problem. AI can make excellent recommendations after evaluating content at multiple check-points and also redirect students to free learning resources. This type of system helps to fill in the gaps in explanation that can occur in courses, and helps to ensure that all students are building the same conceptual foundation. Administering personalized learning in the classroom will require some structured parameters for it to be productive, safe and direction-based. Finding the perfect balance between traditional, linear learning and complex, non-linear personalized learning is something educators will have to keep tweaking as we move forward. The use of AI in the education sector, especially at the school level, has not only helped in easing the administrative burden but has transformed the realm of teaching. c) giving students flexibility around physical space, learning time-frames and instructional modalities. This new paradigm of personalized instruction will give educators an unprecedented opportunity to redefine their roles and scale-up personalized education like never before. It isn’t about educating more students with fewer teachers. On the contrary, it is about educating the students we already have through the teachers we already have, but more successfully with integration of technology’s assets. Vartul Mittal is Technology & Innovation Specialist. He has 12+ years of strong Global Business Transformation experience in Management Consulting and Global In-house Centres with a remit to drive understanding and deliver Business & Operations Strategy solutions globally. He is always looking for new ideas and ways that can make things simpler. He has lived and worked across multiple countries and cultures involving senior client stakeholders from various industries like Financial Services Sector, FMCG and Retail. He has delivered engagements for Fortune 500 organizations such as Coca Cola India, Kotak Mahindra Bank, IBM, Royal Bank of Scotland, Standard Life Insurance, Citibank and Barclays. Vartul Mittal is also renowned speaker on Analytics, Automation, AI and Innovation among Top Universities and International Conferences.